Clear clothing: Forget the clear boots and shoe collection, this trend is going further. 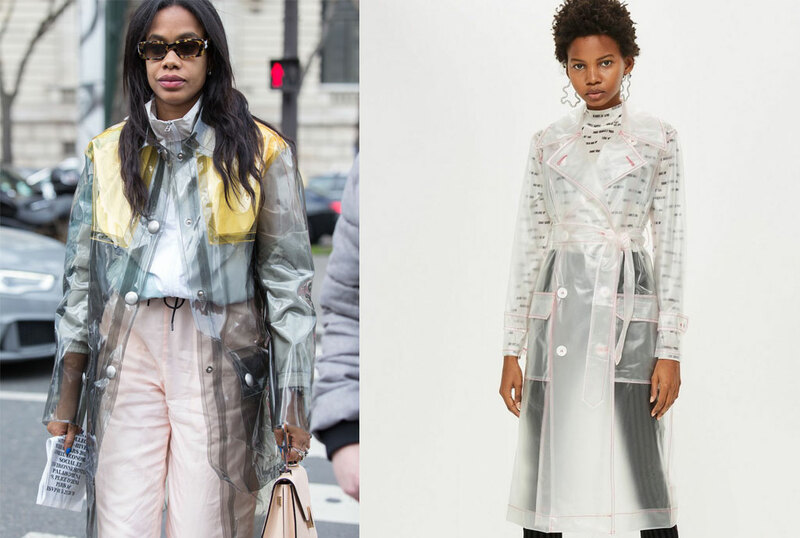 This trend may look familiar and yes, it is because you have seen it as rain coats, but now you can rock it anytime. We know the hot days are still with us, but it does not hurt to always look out for new things. January finally came to an end, and with that, many fashion lovers must be wishing this also brings a new change in the weather Well, we do need the right weather to slay some of these fashion accessories, for example the plastic see through jackets. This accessory is not only a great fashion item to own, but is a great substitute for all your other coat options. Here is how you can style this hot fashion item, and have it work well with all the other items in your closet. The easiest way to pull off this jacket is by having it colour coordinated with the rest of your outfit. You could go for a monotone look, meaning if your inner outfit is blush, then keep your see through jacket in a similar tone. Or, if you are looking for something more eye-catching, you could wear your jacket in a neon shade and have your dress or jeans and body suit in the same shade. The nature of this jacket makes it stand out, so using it as the colour detail for your look would be a great idea. The trick is to keep the rest of the outfit muted and toned down. Then add your jacket, in a splashing shade, to complete the outfit. Choose the colour basing on where you are dressing to, or what kind of look you are trying to achieve. You could go full colour splash with a hot pink or lime green, so simply have a pale blue or baby pink as your shade of choice. By now, I am sure many of you have now mastered the art of colour blocking. And this see through jacket would be the ideal way to try out this trend. All you need is an equally warm coloured outfit, then choose your jacket in a contrasting shade and have these on together. For instance, you can have on your teal jacket over a mustard dress. Or you could style your blush coloured dress with a white see through jacket. Whichever styling option you go for, ensure that your jacket remains the centre of attraction and it is not shadowed by all the other pieces in your look. Between the uptown stores and down town boutiques, you surely would be able to find a see through jacket to suit your needs and taste. For the latter, you could look around shopping malls such as mini price, Gazaland, and Mukwano Arcade. For the uptown shopper, stores such as Abduz spot, Her Fashion Box, Halo Collections or Tinah Brand should have a piece or two of this hot accessory. Prices will vary from Shs100,000 and above.